The Bay of Naples is one of the most spectacular areas on Earth, with a tremendous wealth of both natural and cultural treasures. It presents beautiful diverse landscapes and an amazing amount of history. The blue waters of the Mediterranean are dominated here by the world’s most famous volcano, Mount Vesuvius, best known for its eruption that led to the destruction of the Roman city of Pompeii. 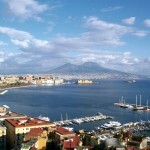 A particular part of the charm of the Bay of Naples can be found on its three main islands, all different, all beautiful. 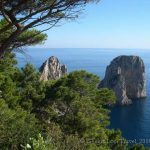 During this tour you’ll visit all three islands: of course Capri, the most famous, but also the volcanic island of Ischia, and colourful Procida. We start our tour on the smallest and least known island: Procida. 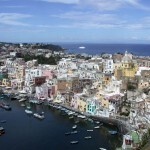 Like its big neighbour, Ischia, also Procida is of volcanic origin. Its beauty lays in its coloured houses and picturesque inlets, which were the setting for the movie ‘Il Postino’. A particular place is the uninhabited island of Vivara, linked to Procida by a pedestrian bridge. 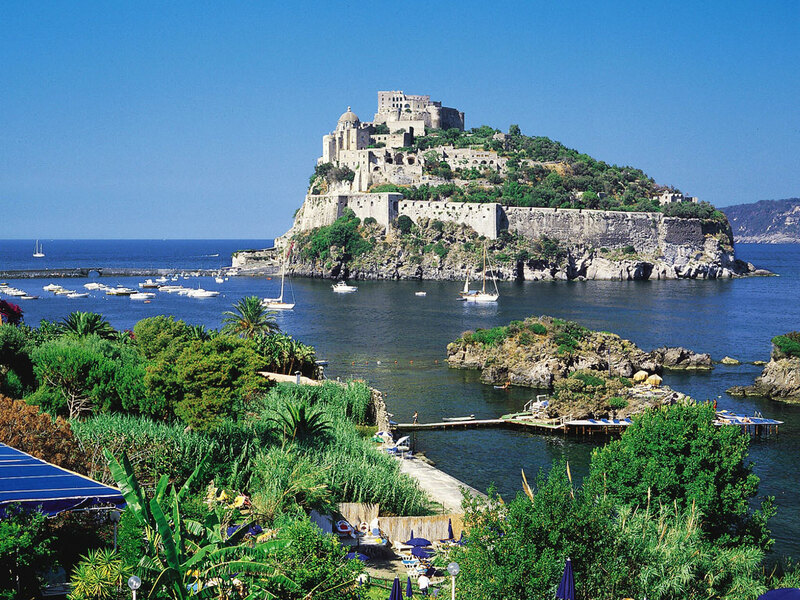 Then we travel on to the biggest of the three islands, Ischia, known as the ‘green island’, with mountains rising up over 2000 feet, and famous for its almost subtropical climate and its thermal spa’s, already since Greek & Roman times. 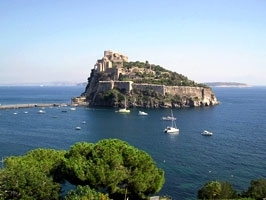 On Ischia we make a number of beautiful and varied walks: from the medieval castle to cave dwellings, through forests and along deserted beaches, through nice historic villages and amazing terraced vineyards. And also do we walk through a number of extinct volcanoes ! 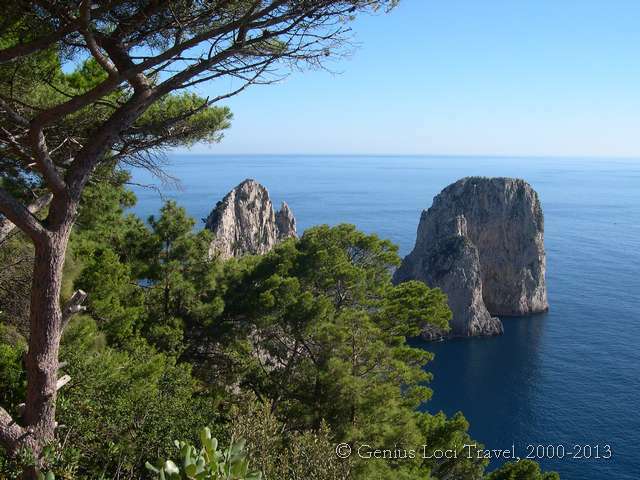 Then we travel on to the world famous island of Capri, the last stop on this tour. 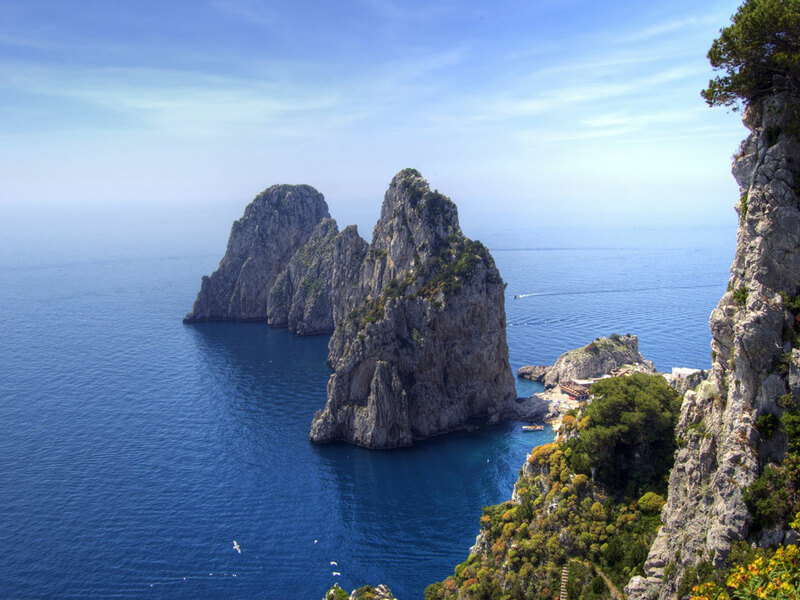 Capri, unlike the other two islands, is made of chalkstone, just like its natural continuation: the cliffs of the Amalfi Coast. This makes up for its particular features, like the world-famous ‘Faraglioni’, its natural arch and its impressive cliffs. But we will visit of course also its amazing Roman villas and you can also indulge in its fashionable ‘dolce vita’. Today you arrive in the bustling city of Naples. In case you arrive early you can take some time to go for a short stroll through the colourful streets, soaking up its atmosphere, or visit a museum. Towards the end of the afternoon we meet our tour leader and the rest of the group at the harbour. After a brief welcome meeting, we will take the boat to Procida, the smallest and most colourful of the three islands of the Bay of Naples. After settling in our welcoming hotel, you can relax in its great garden, or sit in its pool overlooking the Mediterranean, with great views on the islands of Ischia. In the evening we dine in the nice restaurant of our hotel. 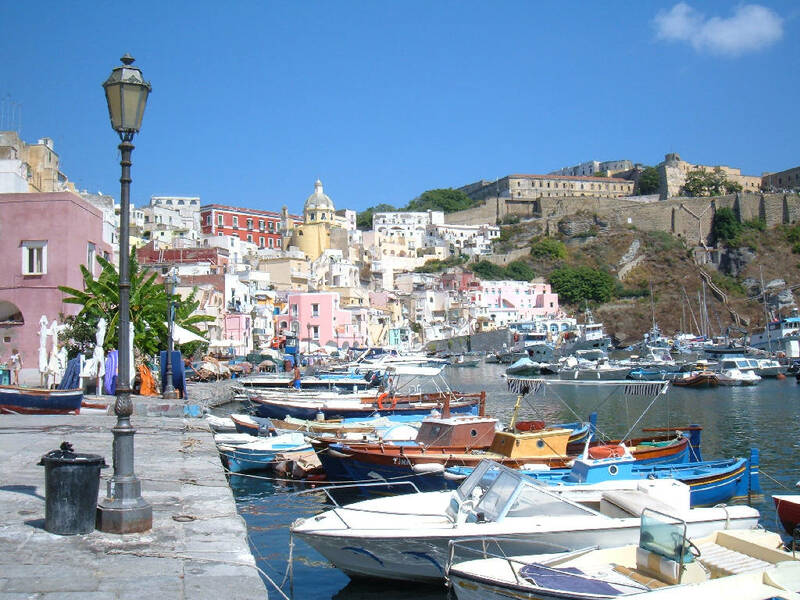 After breakfast we start a beautiful round walk to discover Procida, considered the most authentic island of the Bay of Naples, with its colourful houses and idyllic fishing harbours. 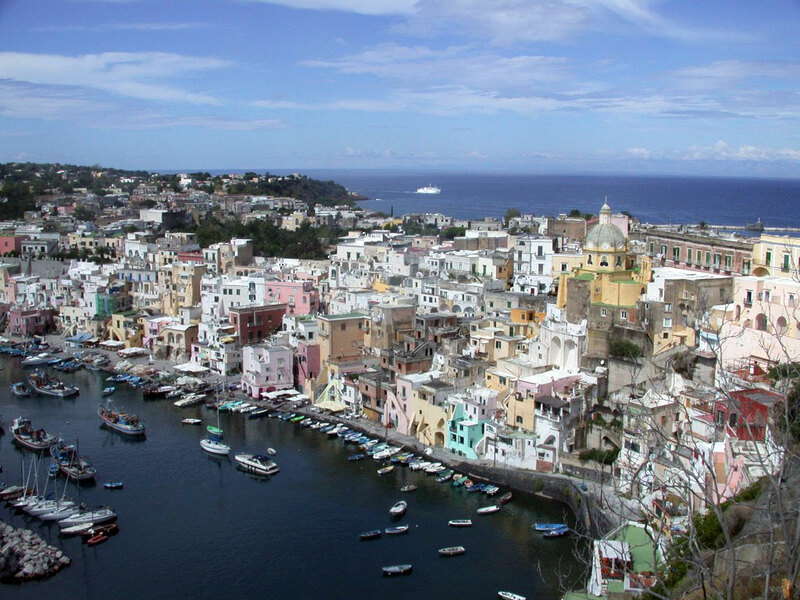 Procida is only a small island, and therefore it’s possible to ‘do’ the whole island in one day. 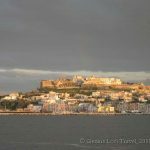 We first pass through the narrow streets and walk up to the historical heart of the island, ‘Terra Murata’, or ‘walled land’, dominated by its castle, from where you’ll enjoy marvellous views. Then we walk down to one of the most picturesque spots of Italy, the small fishing harbour of Corricella. Its unique setting and coloured houses were used as movie set for “Il Postino”. Here we will need some time to look around and take lots of pictures. 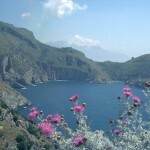 Along the south-eastern coast we then continue the walk along the wooded headlands of Pizzico and Solchiaro. The walk ends at the charming small harbour of Chiaiolella, where we have the time for a swim on the large sandy beach or drink a glass on one of its terraces, before returning to your hotel. Those who still have energy can extend the walk and explore the small island of Vivara, linked to Procida by a small (pedestrian) bridge. This island, the ridge of an old volcano, is now a nature reserve and one of the last bits of unspoilt nature in the area. 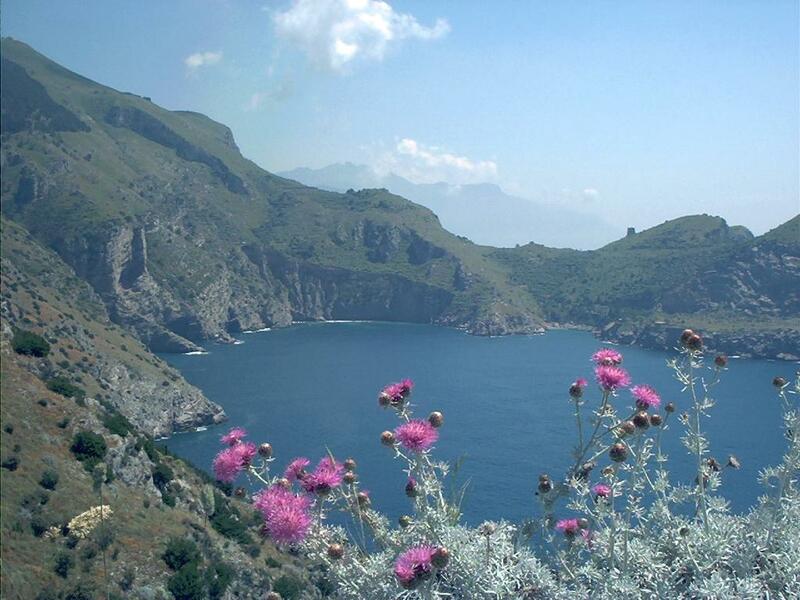 We’ll walk through a timeless Mediterranean landscape, through green forests and with the blue sea all around. Along the large sandy beach we then return to our hotel. In the evening we’ll have a great dinner here again. 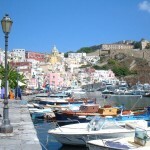 This morning we’ll have some more time to discover the northern side of Procida. 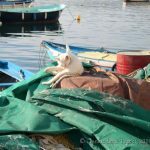 After a last stroll and a drink at the colourful harbour we then take the boat for the short crossing to the island of Ischia, known as the ‘Green Island’, the biggest island of the Bay of Naples. Our first short walk here leads us to one of the most interesting extinct volcanoes of the island, the Fondo dell’Oglio. Then we have a great ‘country lunch’, based on local produce, after which we make the short walk back down to the harbour again. 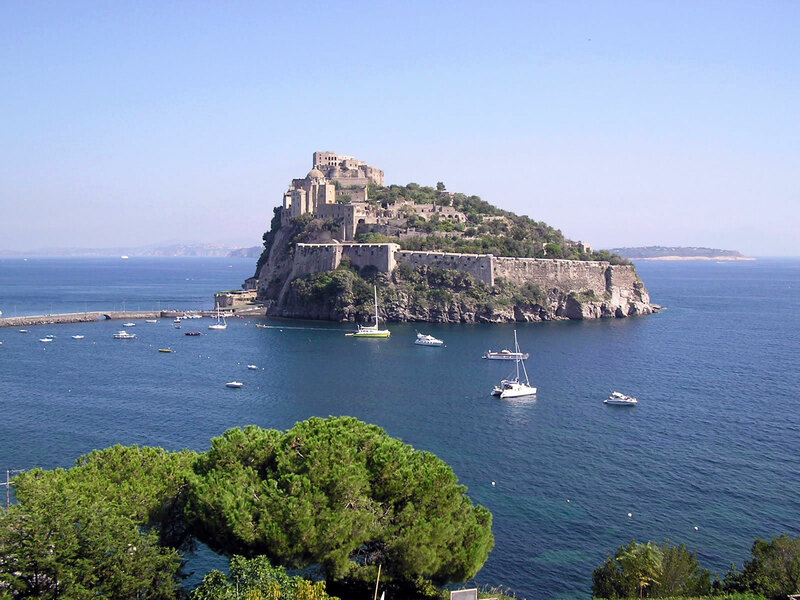 A taxi transfer to your hotel is organised for you, but we suggest wandering around a bit in Ischia Porto, or perhaps visit its famous ‘Terme’ and then do the short walk from the harbour to the castle where we sleep, through the pretty streets of the old town centre. The last short stretch in the fortified island itself is very scenic and has beautiful viewpoints on the city centre. We sleep in an amazing hotel, inside the old medieval castle of Ischia, built on a rocky island off-shore, which certainly deserves to be explored as well. In the evening we dine on fish or some other local specialty, prepared by the chef of the renowned restaurant of our hotel. A great dinner, in a unique spot: the terrace of our hotel, overlooking the whole Bay of Naples. From our hotel in the castle we walk down through the intriguing alleys of the fortified rock to the bridge which links the castle to the old town centre. 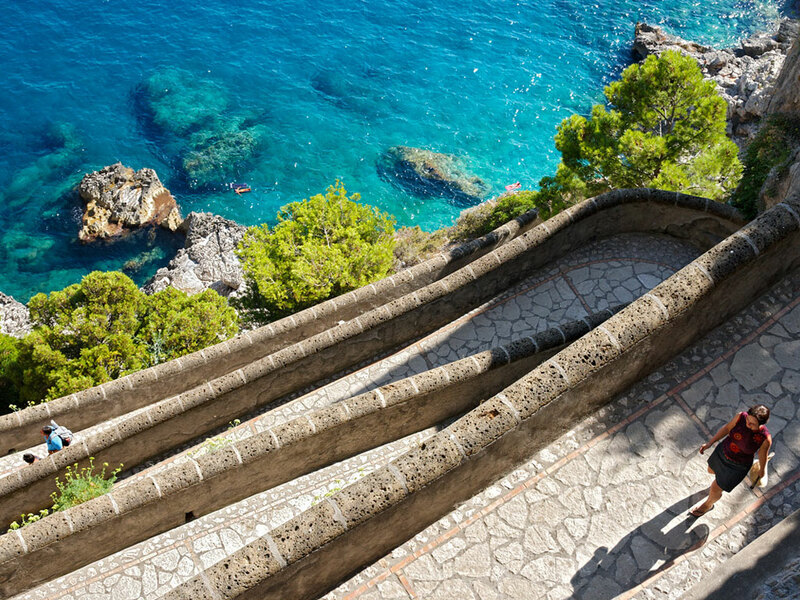 From here we start a linear walk along the beautiful south coast of the island, through a spectacular landscape of terraced vineyards and fantastic lava sculptures, with unforgettable views over the Bay of Naples and Capri. The first part of the walk goes over the cliffs, through vineyards sculpted like Asian paddy fields and small hamlets. Then we pass the small hamlet of Testaccio, from where we descend to the large sandy beach of Marina dei Maronti. Just behind the beach there are several narrow canyons with thermal springs, known since Roman times. We take some time to go for a dip! Along the beach we then walk to the charming fishing village of Sant’Angelo, where we take the time for an ‘aperitivo’, before travelling back to our hotel, where again we’ll have a great dinner with spectacular views again, on the terrace of our hotel. Today we’ll discover the mountains of the island, a chain of extinct volcanoes which occupies the whole central part of the island. First we travel by private bus to the small hamlet of Fiaiano, where we have the time for a coffee. From here we walk through some amazing scenery up to the Monte Epomeo, the highest mountain of the island. We have lunch near the top in a charming restaurant. Then we walk on to the Capo dell’Uomo, Ischia’s second mountain. All this is along easy, comfortable paths. Through forested areas and vineyards, along rock dwelling of monks and hermits, and always with incredible views over the sea, we’ll then walking down to Ischia’s most western village, Forio. After a stroll through its pleasant town centre, we reach its western most point, with its beautiful white church. 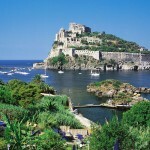 After a stroll and a drink, our bus brings us along the north coast back to Ischia Porto. In the evening you are free to choose from a large choice of restaurants in the colourful harbour of Ischia or ‘downtown’, ranging from simple pizzerias and cosy trattorie to exclusive restaurants. 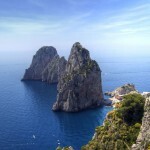 In the morning our taxi brings us to the harbour, from where we take the boat to the rightly famous island of Capri. This island was already renowned in ancient times, roman emperors liked to come here as tourists, and since then never lost its fame. We arrive in Marina Grande, the main harbour from where we walk up (optional ‘Funicolare’) through lemon groves and gardens, to the central square of the little town of Capri, the famous ’Piazzetta’, the centre of mundane life. Then we make a beautiful roundwalk around the eastern part of the island, which shows us most of the ‘highlights’ of the island. These are both cultural and natural wonders, always accompanied with beautiful views in an unrivalled Mediterranean landscape. 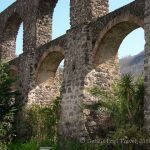 The walk brings us along the ruins of the Imperial Villa Iovis, one of the villas of the Roman Emperor Tiberius, the Arco Naturale, and of the Faraglioni, three rocks off the South coast, may be the most famous and most painted rocks in the world. We have a great picnic lunch in an amazing spot, after which we have the time for a coffee or an ice cream. Walking back to the centre we have the opportunity to visit the Certosa and the Gardens of the Emperor Augustus, from where we can also opt to walk down to Marina Piccola, along the spectacular Via Krupp. This walk can be extended or shortened in many ways. Late in the afternoon we return to our hotel in the centre of Capri for some relaxation. A nice meal in a relaxed atmosphere is the perfect end for the day. 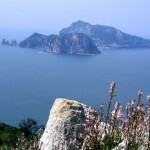 Today we will discover the lesser know part of the island, Anacapri. Either by a very scenic chairlift or with a beautiful, but demanding walk, we reach the top of the highest mountain of the island, Mount Solaro. From here the views on the whole island, but also the Amalfi Coast, the Vesuvius and the whole Bay of Naples are spectacular. Then we go for a wonderful walk along the savage southern coast of the island, with its impressive sheer cliffs. The walk will bring you to the most western point of the island, where we have a great lunch and could perhaps have a swim underneath the lighthouse. Then along a recently restored footpath, which has a special interest for its flowers we walk along the beautiful West Coast, with great views over the aquamarine Mediterranean. We come along a series of fortresses dating back to the Napoleonic wars, some of which still in good shape and very scenic. Halfway the afternoon we reach the world famous ‘Blue Grotto’ or ‘Grotta Azzurra’. After an (optional) visit, we can either walk or take a local bus back to Anacapri. We go for a short stroll through the characteristic narrow streets of Anacapri, and maybe a drink in the piazza, before returning to our hotel for some relaxation. Dinner tonight will be on your own as you are free to explore Capri’s large choice of restaurants, ranging from simple pizzeria’s to exclusive restaurants. The tour ends in Capri after breakfast today. By boat you return to Naples (or in case you extend your holiday: to Sorrento, Amalfi, Positano or Salerno). Extra nights can be booked, here or in any other place (upon request). All nights are spent in beautiful, characteristic hotels, mostly historical buildings (3/4-star). All rooms have en-suite facilities. Nights 1 & 2: The first two nights are spent on the idyllic island of Procida. Our accommodation is a welcoming 3-star hotel in a beautiful setting, with a great garden overlooking the Mediterranean. Nights 3, 4 & 5: These three nights are spent in an exclusive hotel in the ancient monastery of Ischia, located on its ‘Rocca’, a small rocky island linked to the main island by a bridge. A wonderful and quiet setting, yet at walking distance from the town centre with its many bars and restaurants and attached to the Aragonese castle. Nights 6 & 7: The last two nights we stay on the romantic & fashionable island of Capri, with its characteristic houses built onto the steep slopes of the mountains. We’ll stay in a beautiful 4-star hotel, very centrally located. It is family-run and the friendly staff will make you feel at home. Moderately easy (2): Mostly easy walks, with nonetheless some walking uphill, sometimes on paths with rough surfaces. On some days some stretches are difficult for those suffering from vertigo (but NOT dangerous!). On these days alternative options are available. Extensions or shortcuts are also possible on most days. The tour starts in NAPLES (Stazione Marittima), a city with an international airport, and connected with Rome and all other major Italian cities by a frequent (high speed) train service. Both from the airport and the train station there are regular shuttle buses to the harbour. A taxi pick-up service can be arranged either from Naples airport or train station. The tour ends after breakfast on day 8 in CAPRI. A short transfer brings you to the harbour (included), from where you travel back by boat to Naples (or in case you extend your holiday: to Sorrento, Amalfi, Positano or Salerno). It is possible to include extra nights at the beginning or the end of the tour. 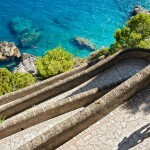 The tour can easily be extended with a few days in Naples or Sorrento, or on the Amalfi Coast (see below). Many good accommodations are available. Details and prices on request. 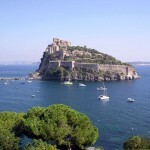 This tour touches the three main islands of the Bay of Naples, which can be reached only by boat. Therefore the itinerary depends on weather, wind & sea conditions, which may cause us to have to make adjustments and changes to the itinerary. There are no scheduled departures (yet) for this tour for 2018, but on request a tour can be planned at any date for private groups. Just contact us! N.B. For this tour tailor-made private departures (for groups of minimum 4 persons) can be planned on any date. Availability & prices on request. Prices start from 1590 euro p.p., depending on the season and number of persons in your private group. Special luxury departures can be planned on request. We can also run an (even more!) upgraded version of this tour, for which we have a large selection of ‘Premiere Inns’, very good hotels, available, many among the world’s best hotels, as acclaimed from Condé Nast Traveler, Travel+Leisure and many others. Genius Loci Travel, as the leading adventure travel company on the Amalfi Coast, can book your room in any hotel you could dream of! Look for the ‘Premiere Inns’ signs. A shorter, 5-day version of this tour is also available. 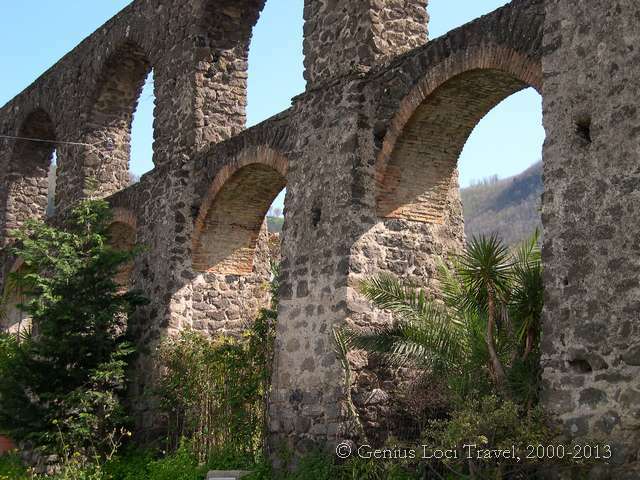 See also our other Amalfi & Campania tours ! Extension 1: Campi Flegrei. Two days in one of the world’s most interesting areas, both from archaeological as from naturalistic point of view. 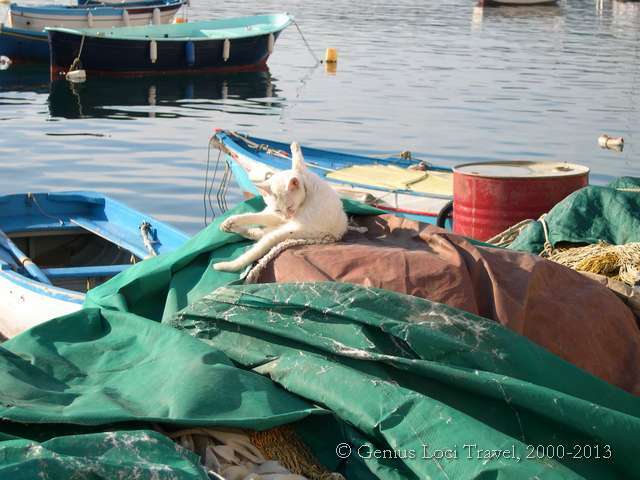 Can also be visited easily from Procida (half hour by boat). Extension 2: One or more extra days in Naples are recommended to those who want to visit Naples and/or haven’t already visited Pompeii or the Vesuvius, only 20-30 minutes by local train. Extension 3: A few days on the famed Sorrentine peninsula. Also from Sorrento, Pompeii/Vesuvius is only 20-30 minutes by local train and some stunning walks can be made here, e.g. to the Land’s End, Punta Campanella. In the morning you can explore Pozzuoli, the main village of the ‘Campi Flegrei’ (‘Burning Fields’), a volcanic area, full of Greek and roman history. When the facade of the Duomo felt off due to an Earthquake, a Greek temple appered… . Through the old centre and along the big roman amphitheatre you walk to the Solfatara, a still active volcano, and probably the best place in mainland Europe to see volcanic activity from so close by! Then you travel to the Lago d’Averno, where the Romans believed to be the entrance of hell and finally to Cuma, the first Greek settlement in the area, and the home of one of the most famous ‘oracles’ of the ancient world. You make a beautiful walk through the archaeological area and the dunes around it. You can choose to sleep in Naples, or in a hotel literally on the archaeological area of Baia. 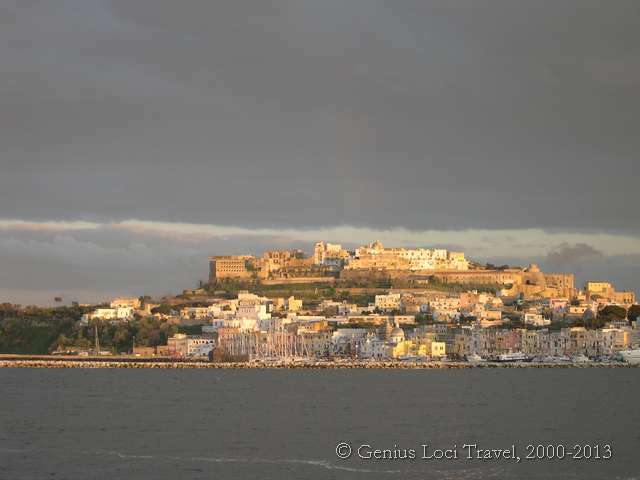 The western part of the Campi Flegrei, is an area extremely rich in archaeological findings. We propose a walk, which links together a few of the most interesting Roman heritage sites of the area: the Castle of Baia, the Piscina Mirabilis and the Cento Camerelle, as well as the most interesting parts of the historical town centre of Bacoli. Walk through the so-called ‘Fondi di Baia’, extinct volcanoes, where the traditional agricultural landscape still survives. Then walk up to the Castle of Baia, which now is one of the foremost archaeological museums in Italy, but without the crowds! Then you walk through the village of Bacoli, where of course you’ll have to visit the Piscina Mirabilis and the Cento Camerelle. 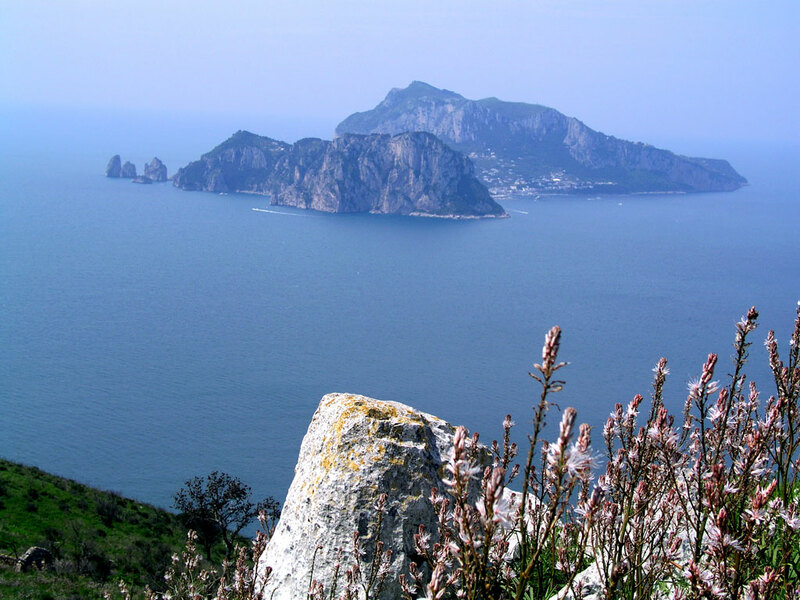 The walk will then bring you onto the promontory of Capo Miseno, through agricultural land and forest. Views from this headland are among the most extra-ordinary the area has to offer! 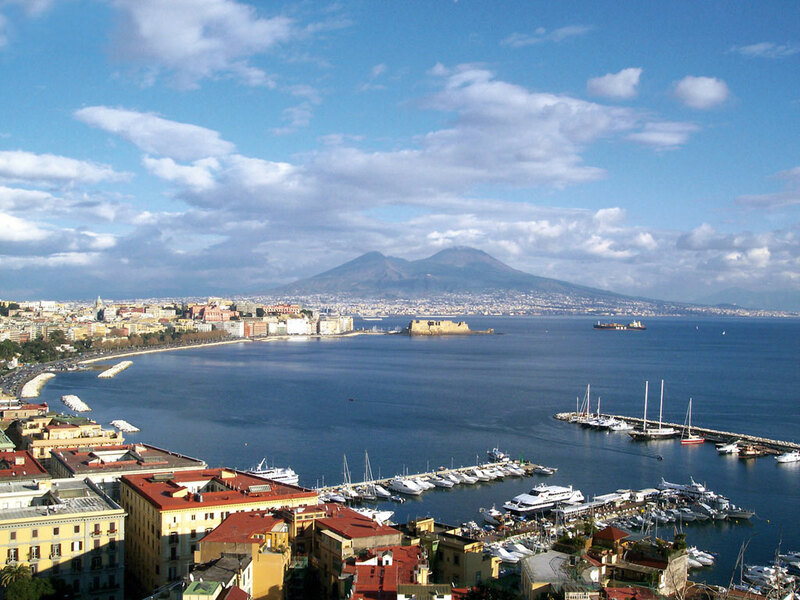 Naples is an extra-ordinary city, in all senses. We can book you a great hotel in the heart of the city. From here you can visit the most interesting ‘highlights’, such as the Royal Palace, the royal theatre, the beautiful ‘Galleria’ and the medieval castles, but also stroll through unknown lively (but safe!) neighbourhoods, with their unbelievable history, where you can find in a few square metres Greek, Roman and medieval buildings. Stroll as well through quiet parks and along the sea shore, to relax from the hectic street life in Naples with a rewarding view on the Bay of Naples; of course you can also pay a visit to the world famous archaeological museum, where all the artefacts from Pompeii and Herculaneum are exposed. In the morning you take the small local train (or taxi) to Pompeii or Ercolano, where you can pay a visit to the excavations. After the visit to the archaeological area you can drive up to the Vesuvius and make a walk around the impressive volcanic phenomena to be seen around the crater: lava flows, pumice fields and grotto’s, culminating in a walk to the top ! There are several walking options, according to your interest and level of fitness. By local train or taxi you then return to Naples.